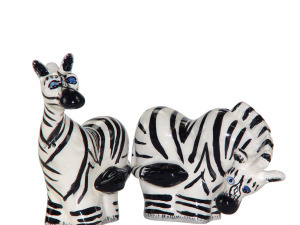 Add a unique touch to your table with this Safari Zebras Ceramic Salt & Pepper Shakers Set featuring painted and glazed zebra shakers with stoppers on the bottoms. 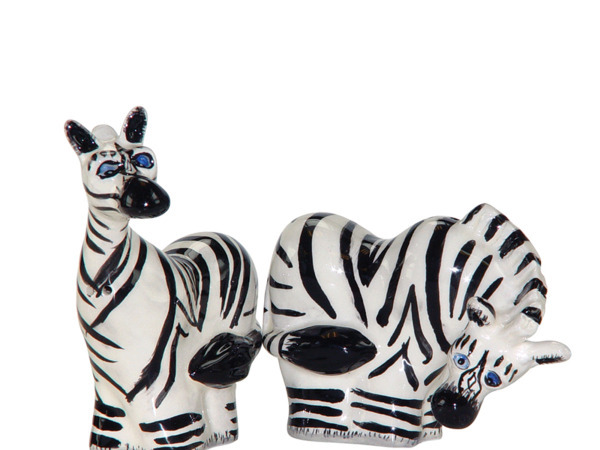 Each shaker measures approximately 2.5"-3.75" tall x 3.5" wide. Comes packaged in an individual box. 8 pcs. 16 pcs. 24 pcs. — 32 pcs.